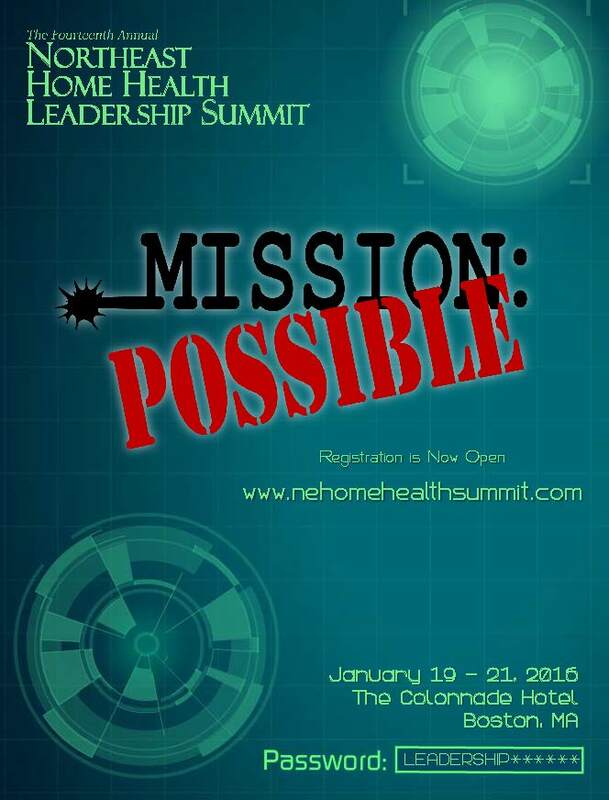 Registration is now open for the Northeast Home Health Leadership Summit being held at The Colonnade Hotel from January 22 to 24. This year’s lineup of speakers includes Dr. Bill Thomas, an international authority on geriatric medicine and eldercare, who is revolutionizing the concept of ‘aging’ as we conventionally think of it. His passion will bring new and eye-opening thoughts on how we should view people as they grow old. The Summit is also pleased to have Dr. Don Berwick, M.D., former Administrator of the U.S. Centers for Medicare and Medicaid Services, who will share his perspectives on the tremendous unrealized potential in health care delivery. Dr. Berwick will recommend how we can take part in shaping a system that satisfies our patients, using our limited resources intelligently, and continuing to support our mission of caring. To further echo Dr. Berwick’s message, Mary Ann Christopher, President and CEO of the Visiting Nurse Service of New York, will share how home health leaders can play a leading role when it comes to transitions in care, quality of care and preventing re-hospitalizations as a vital partner to our community hospitals. December 21 is the deadline to take advantage of early-bird pricing. Full details are available at www.nehomehealthsummit.com, including registration and hotel information and an overview of this signature event, which is designed expressly for home health leaders. Register today! Our theme this year is “The Magic of Leadership”. We will be returning to The Colonnade Hotel, 120 Huntington Ave. Boston – across from the Prudential Tower. Other speakers include: Dr. William Thomas on “Elderhood Rising: The Dawn of a New World Age and Sarah McKinnon on “From a Good Boss to a Great Leader. Bates Communications will be presenting “Speak Like a CEO” (a personal consultation will be available on Day 2 for an additional fee); and we have some other “magical” presenters in the lineup. The pre-conference session will focus on utilizing data as a management and marketing tool. The Summit website at www.nehomehealthsummit.com has hotel information up now and registration information shortly.